Hello friends! Thanks for stopping by my Project Life Tuesday. 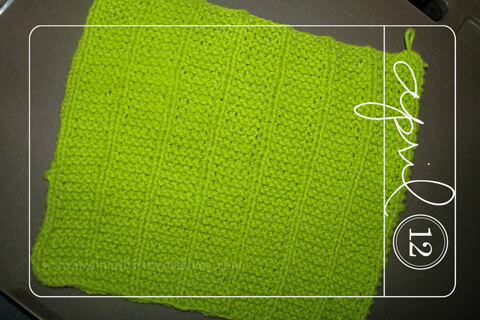 Monday, April 12, 2010 – My first knitting project, a dishcloth in my favorite color. 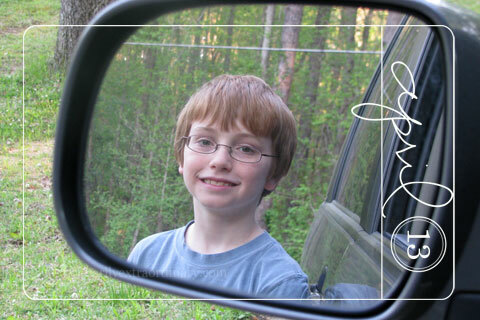 Tuesday, April 13, 2010 – Squirt almost always hops out of the van at the bottom of our hill almost every day after school to get the mail. I looked up to see him looking in the miror and had to get a pic. 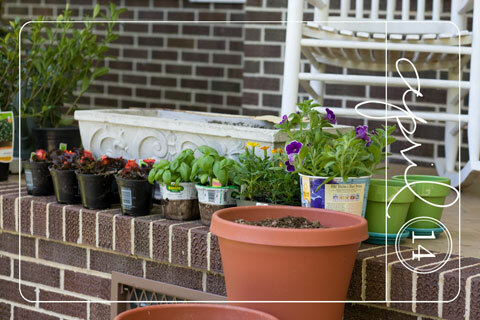 Wednesday, April 14, 2010 – I bought flowers to plant in the pots on our porch. Thursday, April 15, 2010 – We headed down to the golf course for DH and Squirt to play a little golf. Friday, April 16, 2010 – Train tracks run through the center of our town. We had to stop to let one finish passing on our way to school. Saturday, April 17, 2010 – I was up early writing before going for my walk. I opened the front door to let the beautiful sun shine in. The cats sat there just staring out the glass door. Sunday, April 18, 2010 – I’ve been noticing all the dandelions in the yards and noticed this lonely little one out in the yard.